TGIF! The weekend is HERE! This has been a really exciting week in Kelly-land, but I’m really excited for the weekend! Tonight I’m going out to dinner with some friends for my birthday which should be really fun, and I have some other very exciting weekend plans….. I am doing laundry! I know. I’m so wild and crazy. But laundry means that I’ll get to see my parents, and I always like that. 1. I just got this tote from Target last week and I already love it. I needed a new big bag to use as a big carry-all for when I fly. I have a fun trip coming up in April and I’m trying to think ahead. I have already used this bag twice this week and it is working out great! 2. This mug is everything. I got it for Christmas and have been using it all the time at work and at home. My mom knows me so well. 3. Last year some friends got me started listening to podcasts and they are the best. They make my commute to and from work much more fun and hilarious a the Gilmore Guys podcast is my new favorite. One guy is a super fan, one guy has never seen the show before, and they just talk about the show one episode at a time. Fun for a major fan like me! 4. Last year, one of the concerts I went to had Vance Joy as one of the opening acts. His popular song of the moment is called “Riptide” and I think it’s a really fun song. Even more fun, Taylor Swift singing it. Enjoy. 5. I’ve been working on a project at work with the other editors for… what seems like forever. It’s really only been 2 months. But we have been working REALLY hard and so as a treat one Friday, we all pitched in a few dollars and had pizza for lunch. It lifted our spirits and now pizza Friday is a permanent thing. And it’s my favorite. Enjoy your weekend, I know I’ll be enjoying mine! 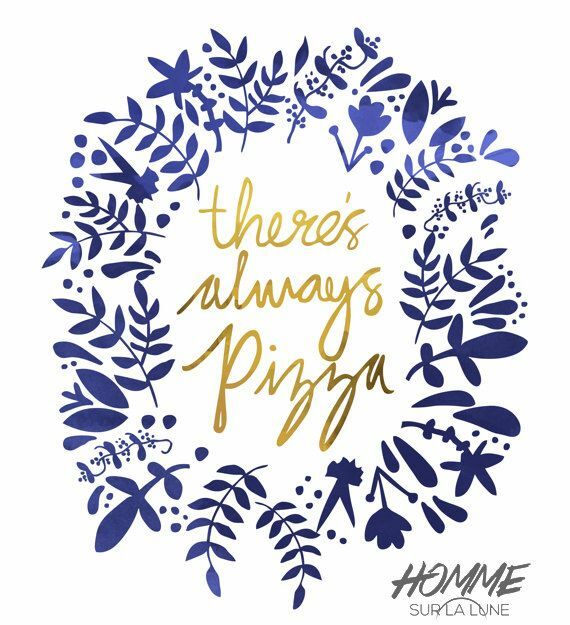 Happy (pizza) Friday! « Sing It Out Loud!